There are very few gouache artists here locally, maybe that's why it's very hard to find artist grade gouache paints in the local art stores. 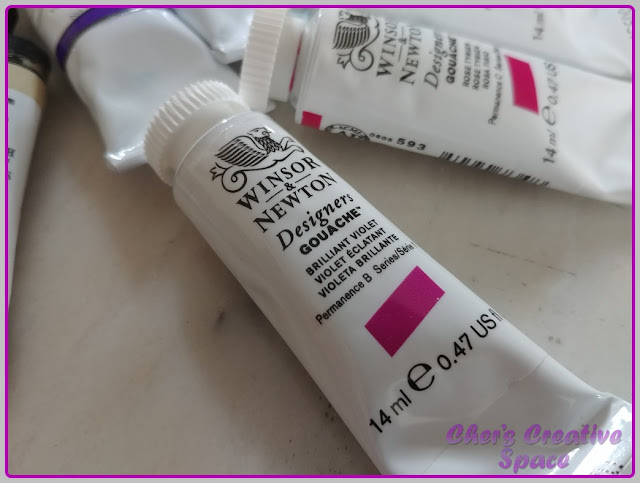 If you can find one, trust that it's very expensive so I made it a point to buy some Winsor & Newton Designers Gouache paints while I was abroad. 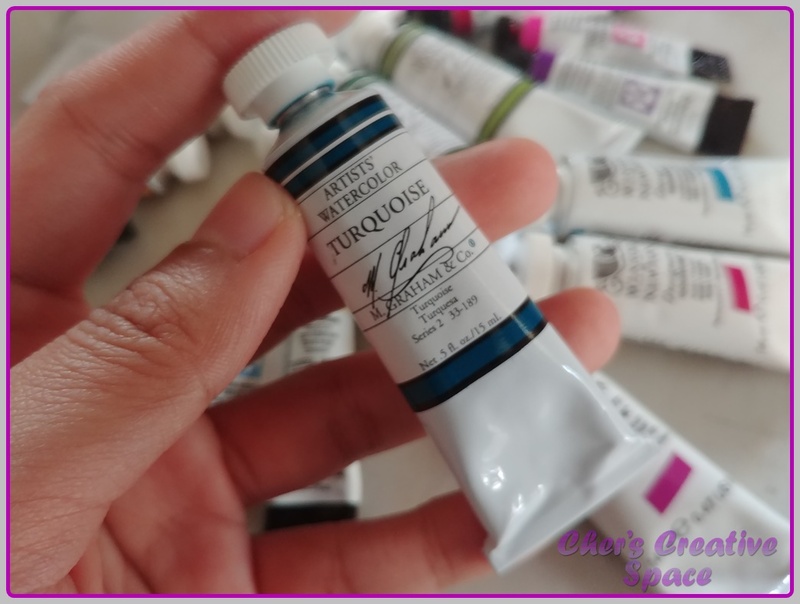 Here are the new colors that I got that were missing from my Holbein Gouache Set. Since I still had a few spaces left. I also put in some Shin Han Pass Hybrid Watercolors in the set. These work like gouache as well. 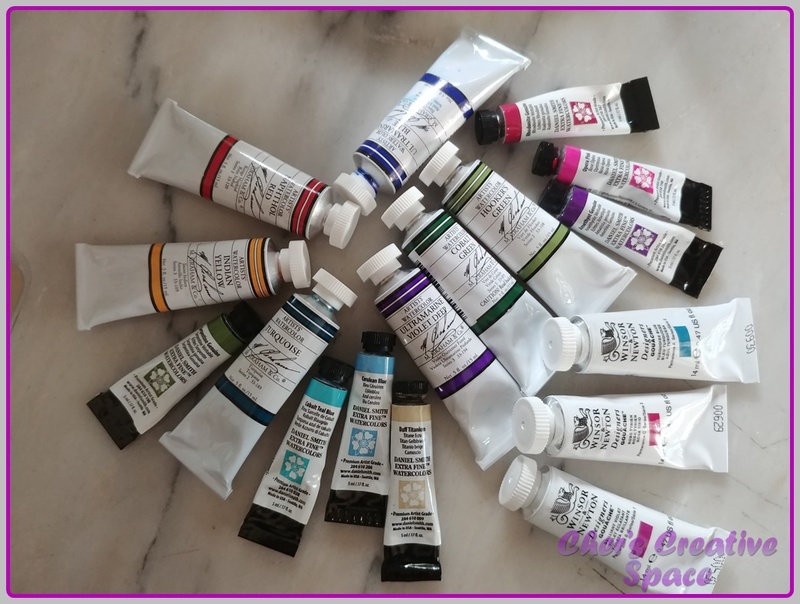 My 18-color Artist Gouache set is now filled up to 24 colors! 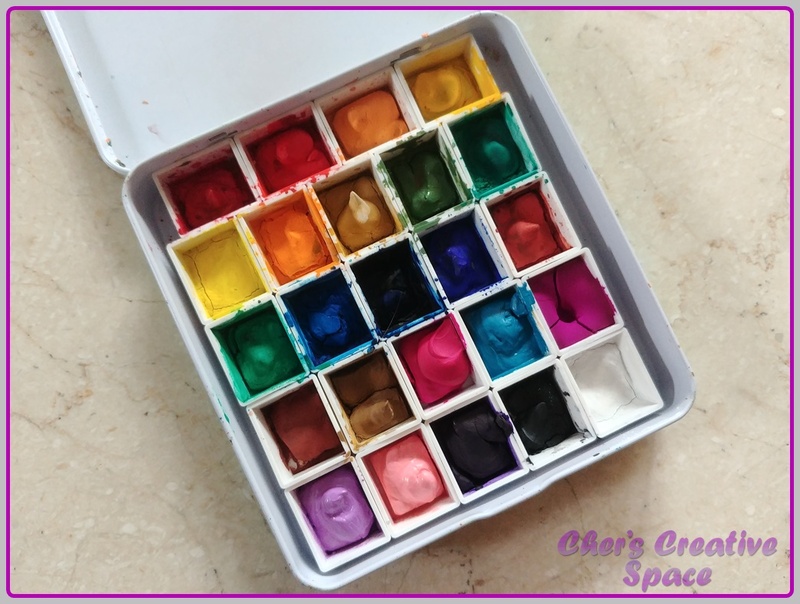 Since I've been doing a lot of illustrations that require a lot of pastel and feminine colors, the addition of the pinks and purples were perfect for my palette. 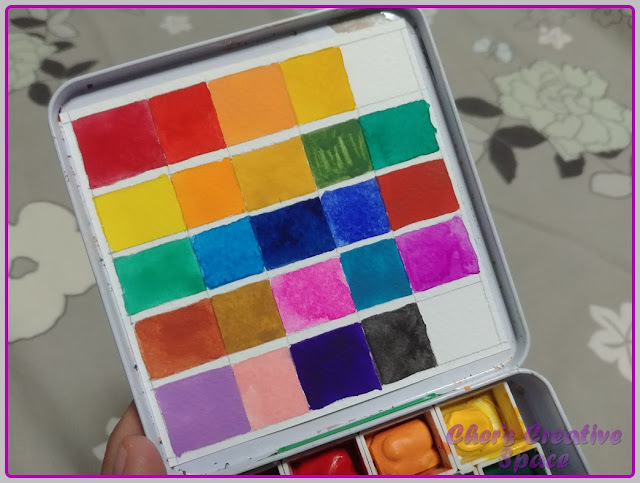 As for my premium watercolor set (I call this premium because it's a mix of Daniel Smith and Winsor & Newton Artist Grade paints), I was able to transfer my old 24-color set into a metal tin case that used to hold Master's Touch Pan Watercolors which I bought from Hobby Lobby. 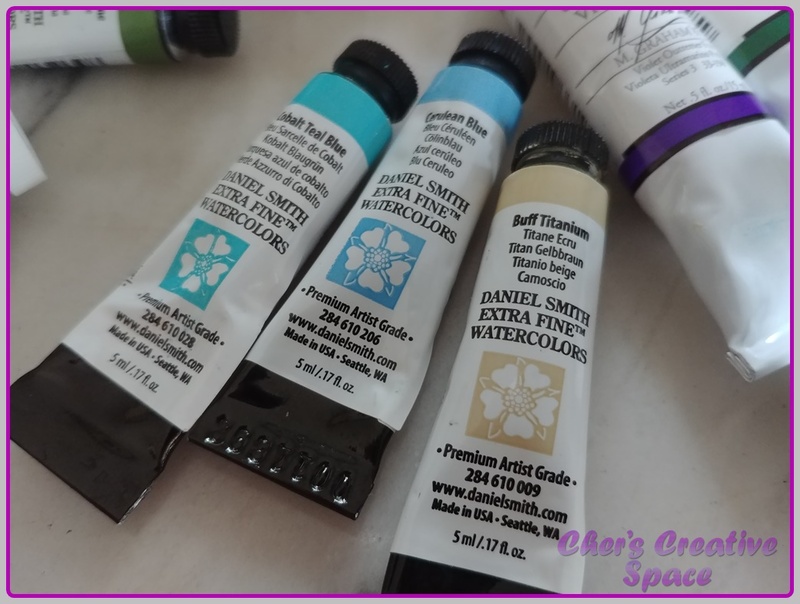 Again, I was able to buy some Daniel Smith paints during my trip. 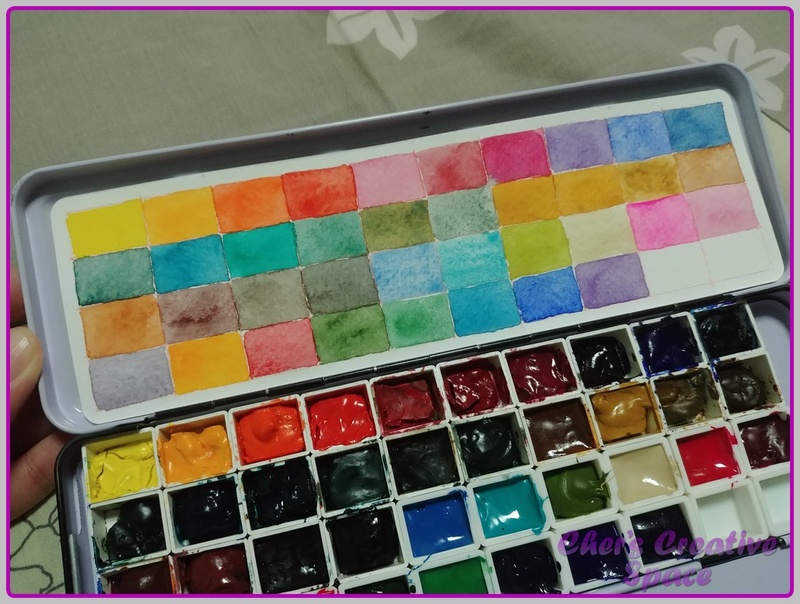 I found it really hard to choose because I already had some of the colors in my palette and I was torn between buying colors that I already had but really love or buying some new colors to extend my palette color range. I decided on the latter. I also bought some pretty pricey M. Graham Watercolor Paints. I was now able to extend the colors to 40 but I am still missing two as you can see in the photo below. I swatched them the other day and I'm pretty satisfied with my color selections. I'm thinking to get two more colors from M. Graham because those were really great. When I swatched them, they weren't hard to re-wet at all and they weren't kidding when they said you only need a miniscule amount on your brush. Just even a pinprick has loads of pigment on it. They were quite expensive but I think were really worth the purchase. Really happy about these sets. I'm really excited to play with them soon. How about you guys? 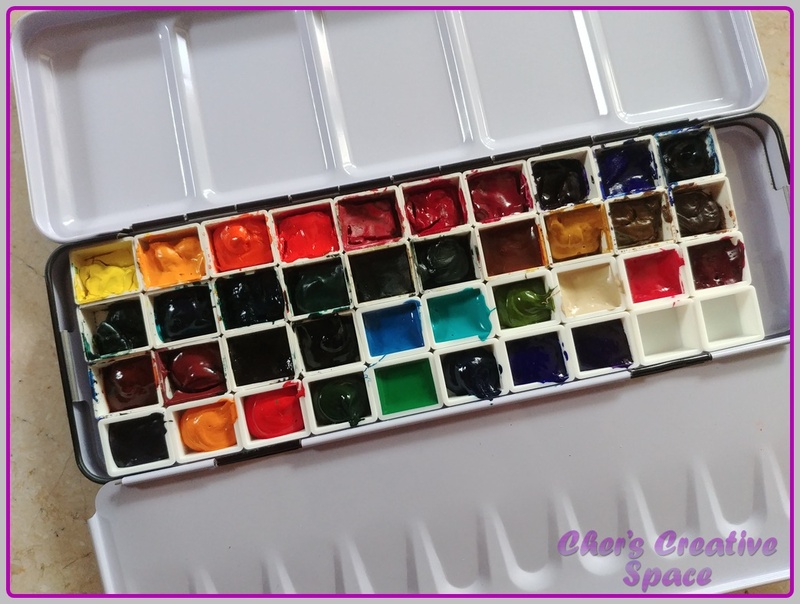 How have you been doing with your art endeavors lately?